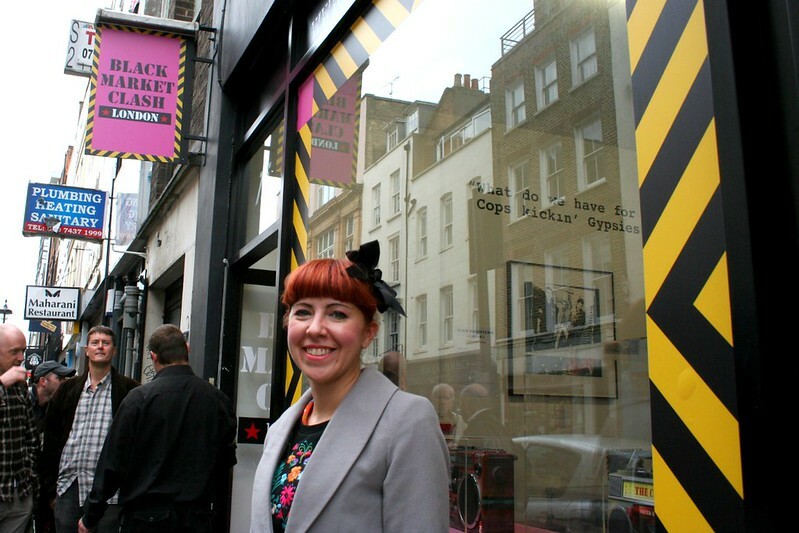 Black Market Clash is a pop up store that opened in London, more specifically on Berwick Street, in the Soho area. 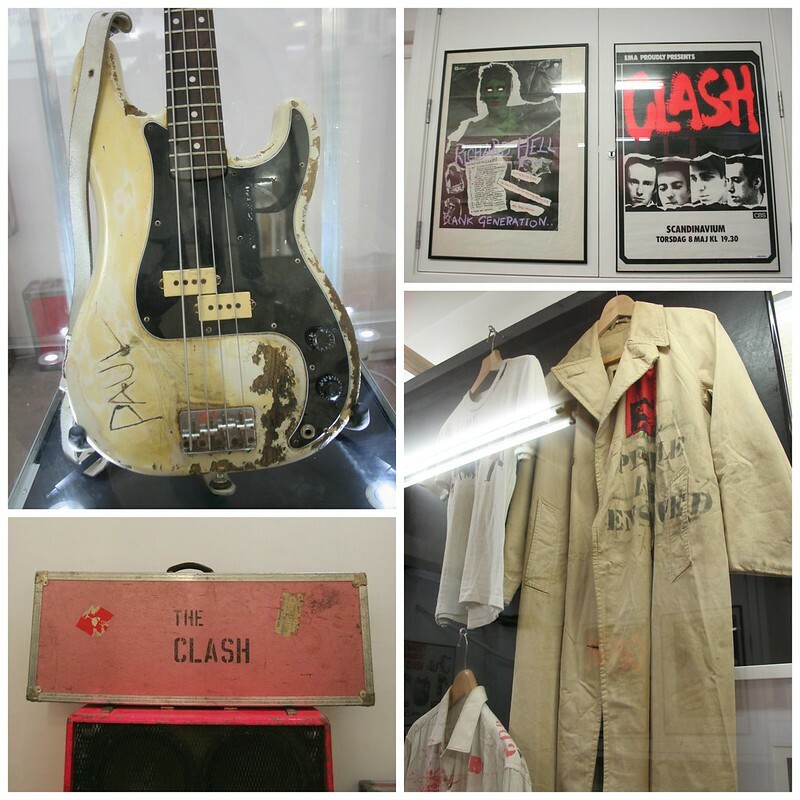 The store is dedicated to the legendary punk band The Clash and features amazing memorabilia, some installations by the band members and great merchandise you can buy and take home. It closed on the 22nd of September (the next day) so unfortunately the report comes in a bit too late. At least I hope it is useful for those who couldn’t make it as I took a fair bit of photos that I am sharing. 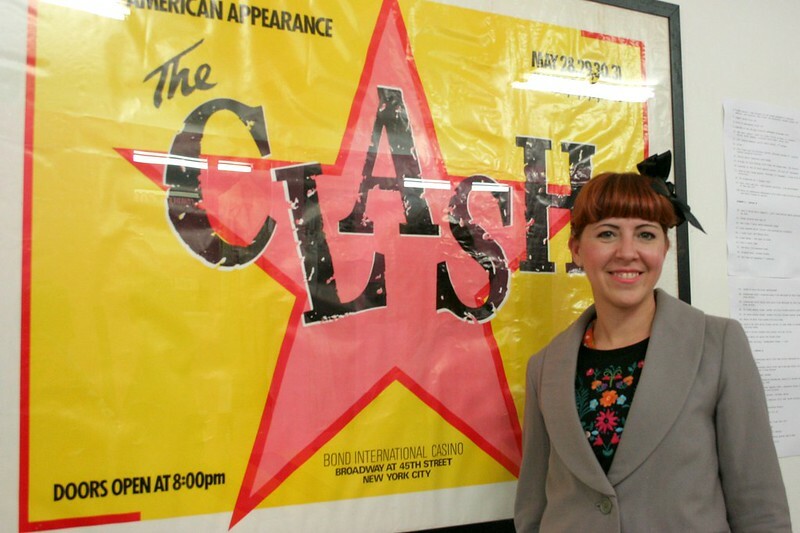 Last Saturday when I got to London and met up with Suzanne of Idee Fixe who was visiting from NYC, the Black Market Clash pop up store was the obvious choice of what we were going to do for our afternoon together. 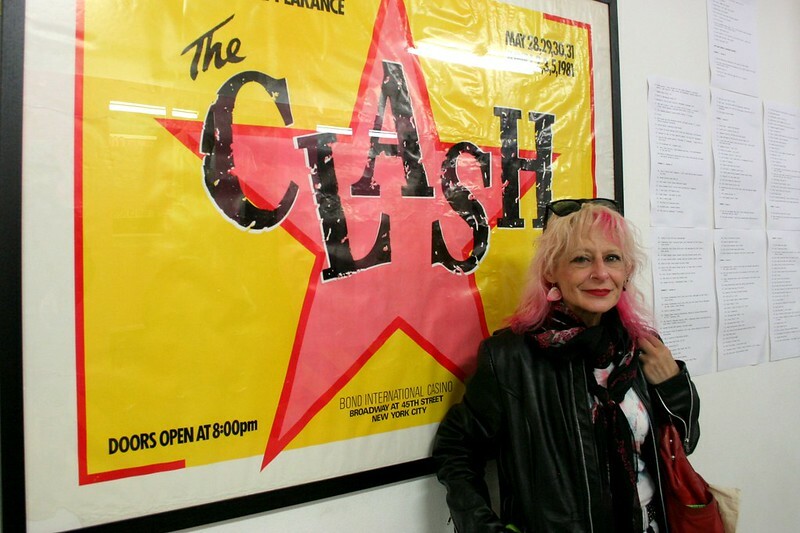 Suzanne and I have conversations on Skype every now and then and it was lovely to spend a couple of hours in the flesh. 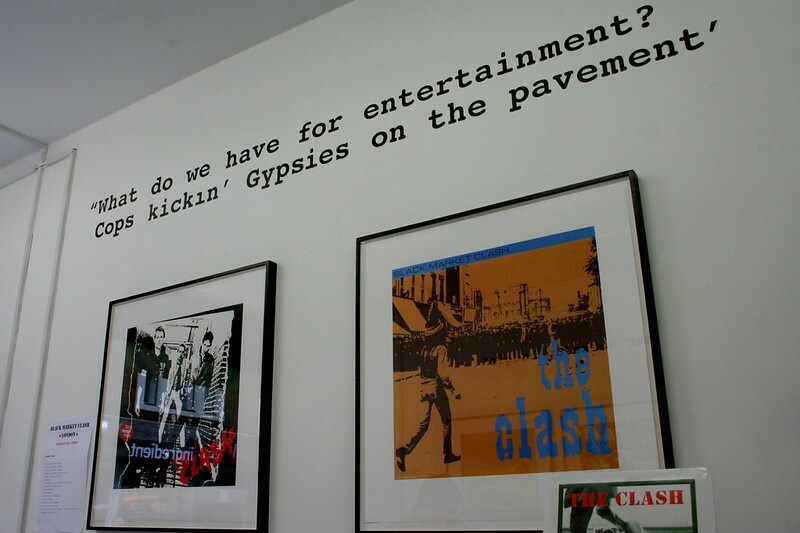 The records hanging from the ceiling belong to the band members and are influential records to them. 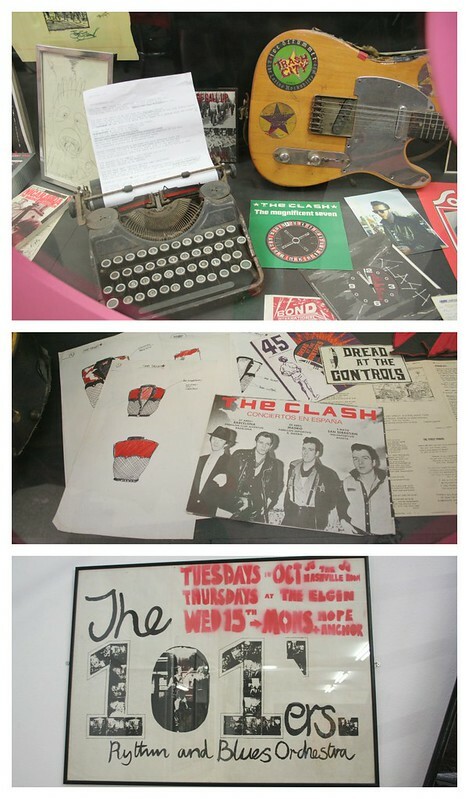 Some posters, instruments and their cases and stage clothes were on display. 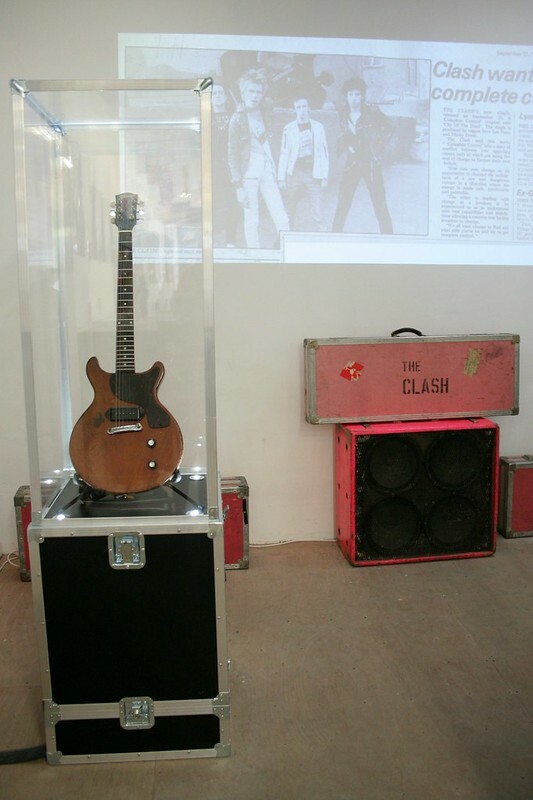 The legendary cover photo by Pennie Smith and the bass guitar being broken in it by Paul Simonon. I was flabbergasted at this point. 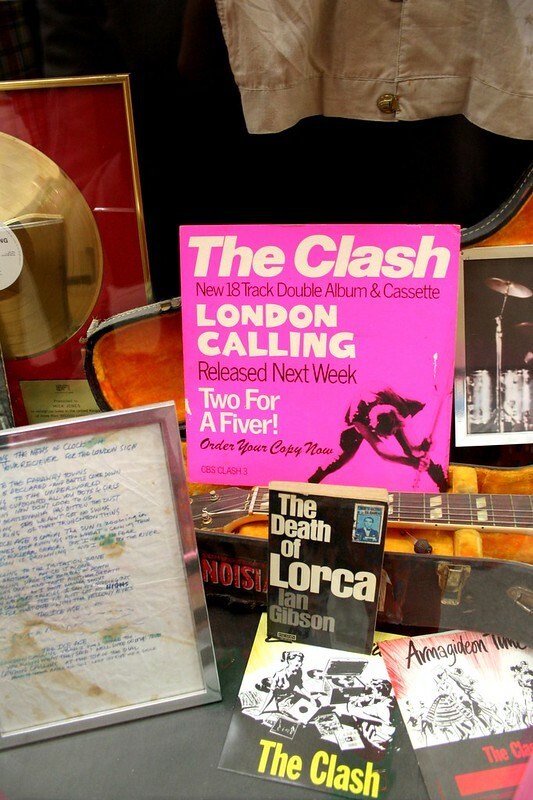 The original sheet with the lyrics to London Calling. 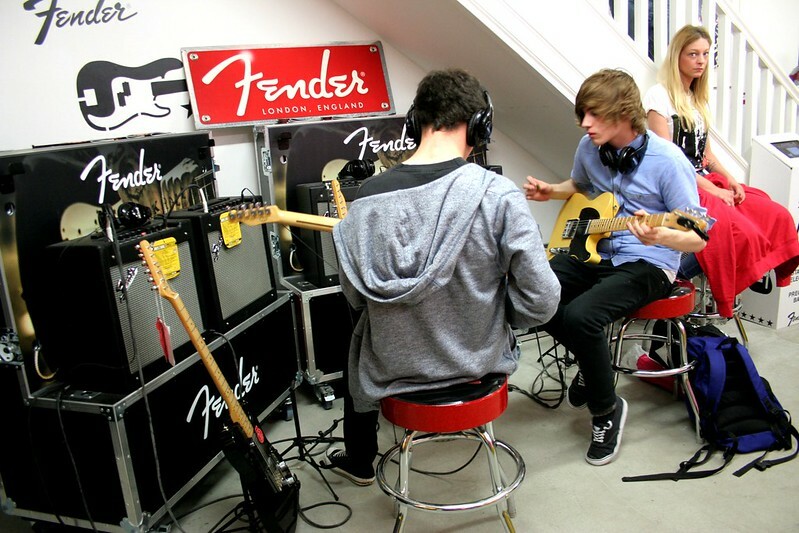 The event was sponsored by Fender and some lads were playing along with the songs. I thought that was a nice touch. 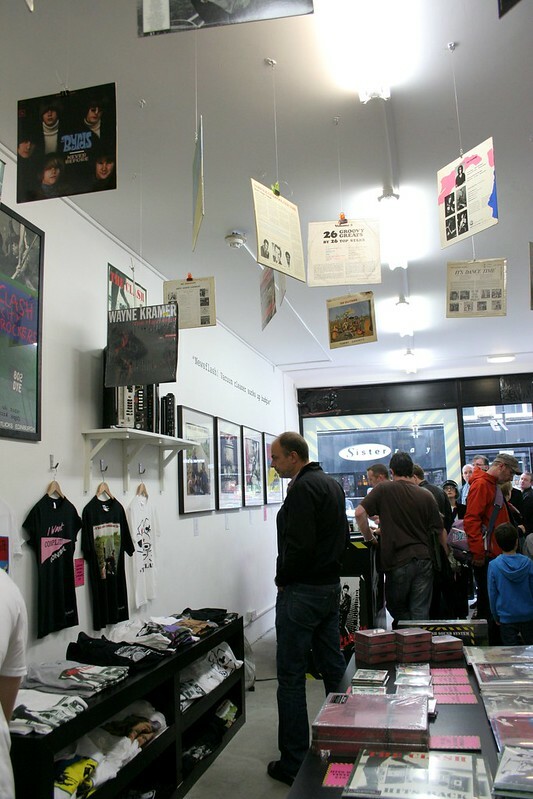 There was a lot of merchandise on sale – T-shirts, cds, vinyl records, totebags, posters, postcards, all sorts. I decided on the Complete Control tee (the only one sized for ladies, I’m afraid) and a tote bag for my growing collection. 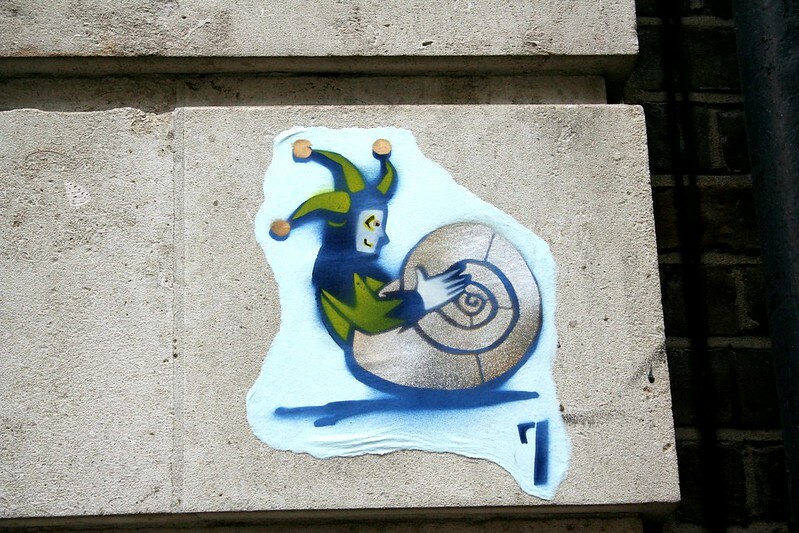 After we saw the exhibition and bought a couple of bits and bobs there we proceeded on our exploration of the area. We ended up stopping for lunch at Soho diner and had some nice food and a bit of a sit down. Classy! 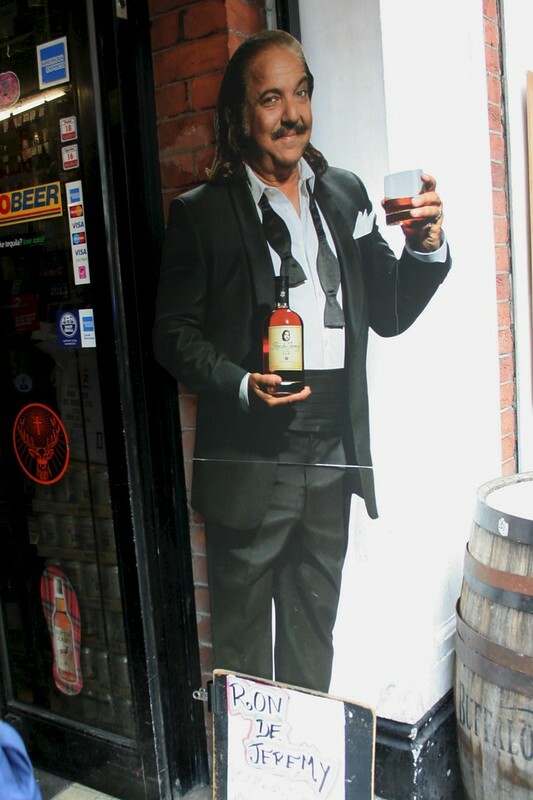 Ron de Jeremy is now available to be purchased in liquor stores near you. I didn’t take a full outfit photo but I can tell you what I wore, you can see bits and bobs of it on the photos. The head bow is my usual one from H&M, the grey jacket is H&M but I got it from Ebay. The embroidered sweater I bought it on sale at Primark and I think it is lovely, I really like embroidered textiles. The dress is vintage handmade and I got it from the flea market in Lisbon. Unfortunately I won’t be keeping it as it doesn’t fit properly- the waist size is perfect but it was made for someone with some more boobage than me. If you have an 8/10 size waist and like orange drop me a line and I’ll gladly send it to you. 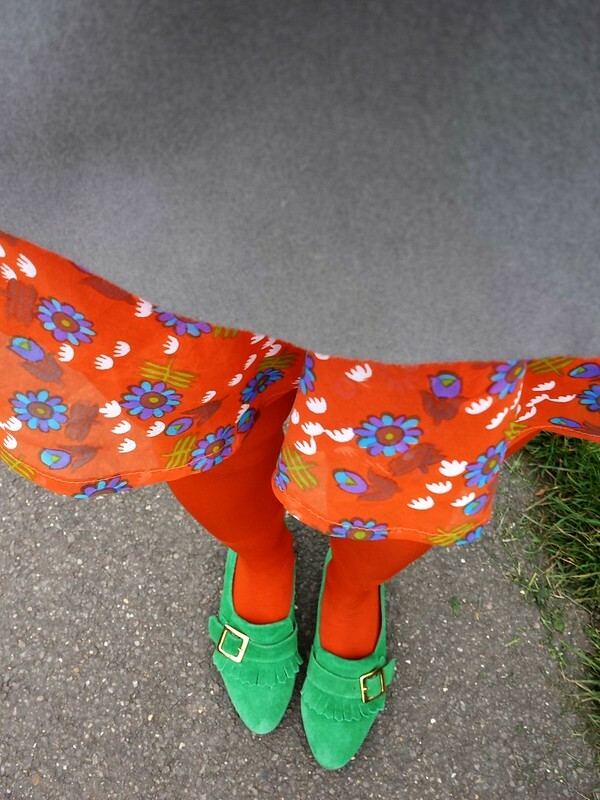 The orange tights are from Calzedonia and the Green shoes from Office, via Ebay. 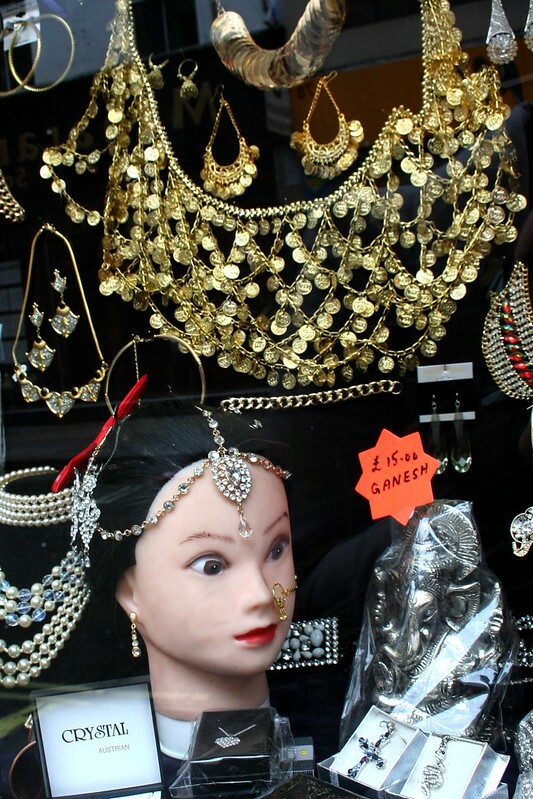 Is that doll head creepy or what? Unfortunately we didn’t get to take a photo with the both of us in it. 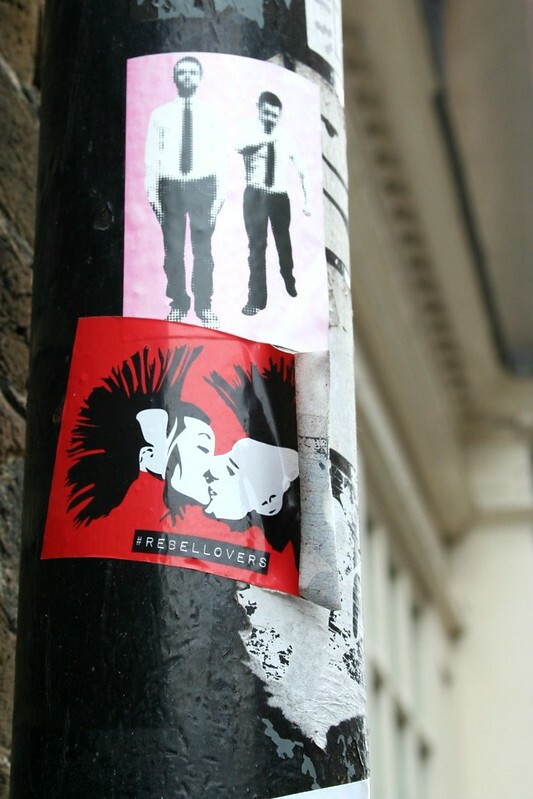 We were just walking around and talking and having fun so it kind of slipped my mind. Suzanne really is a special lady and it was a privilege to have met her in person. I hope that we can meet again some time in the future! 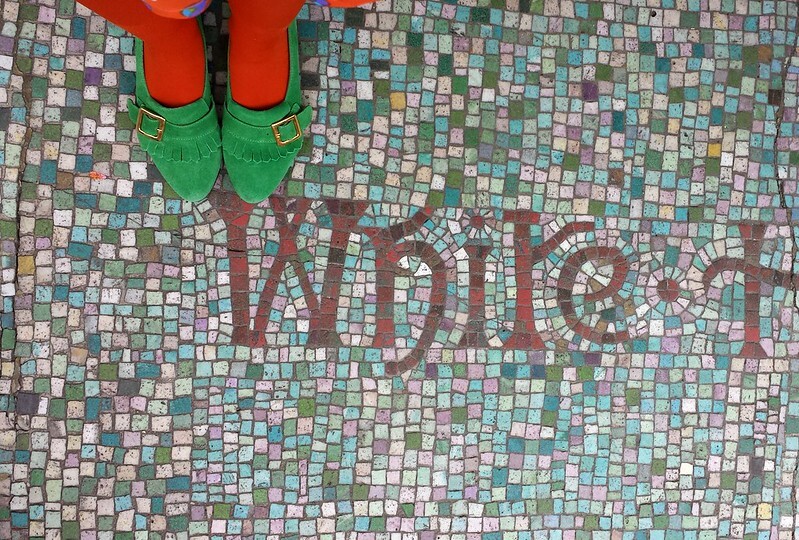 Make sure you have a look at her blog here. So jealous I didn’t get to see this or that we missed seeing each other..one day we’ll make it! 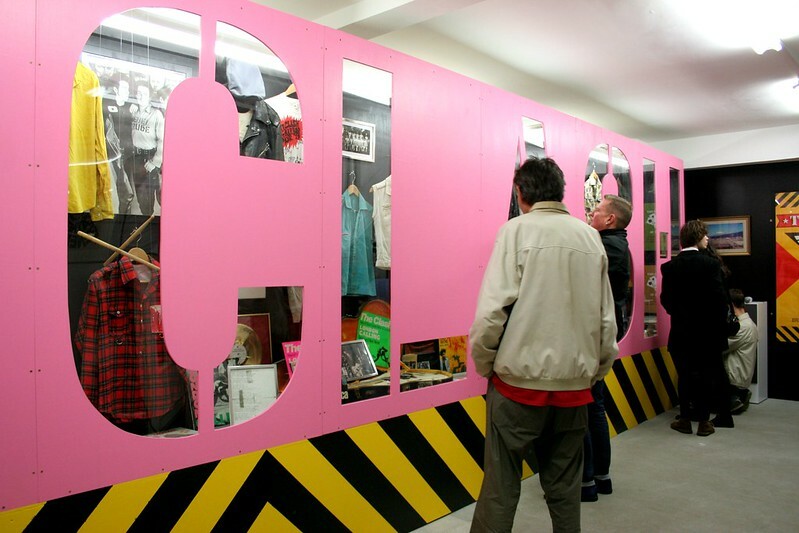 Love the Clash and everyone’s been raving about this pop-up shop and I can see why. 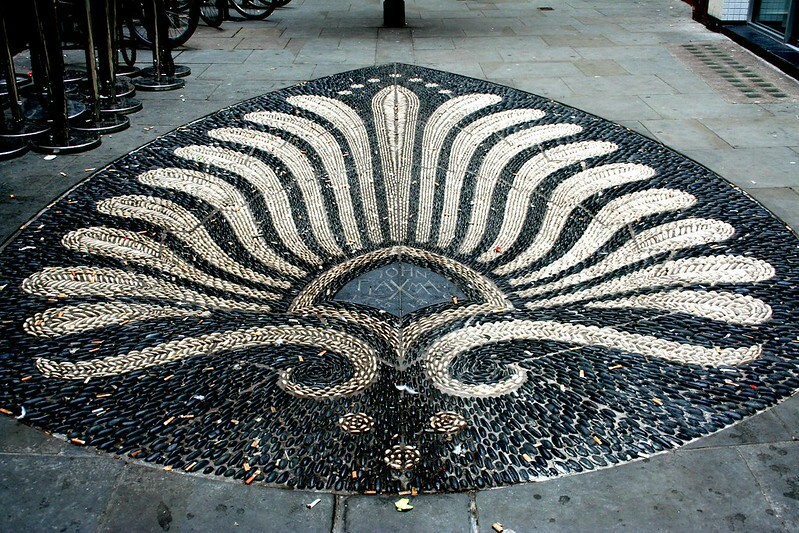 Looks like a fabulous day with Suzanne! 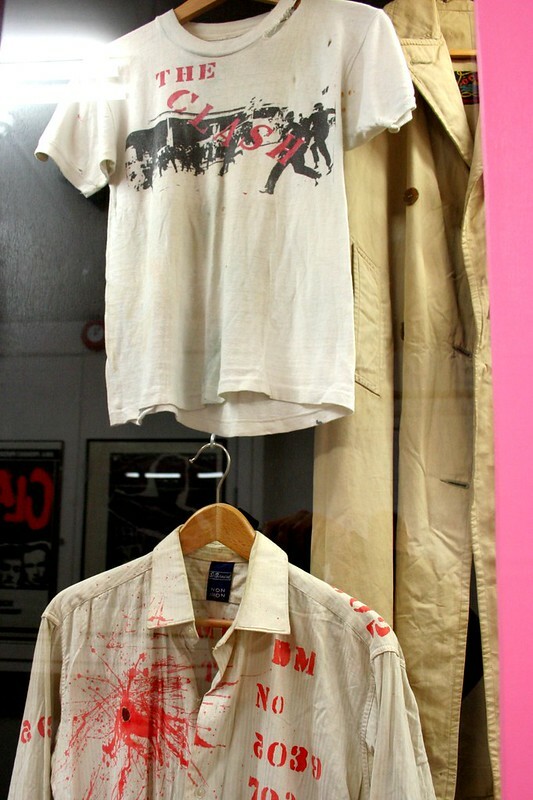 such a cool store, damn it, why did it close? 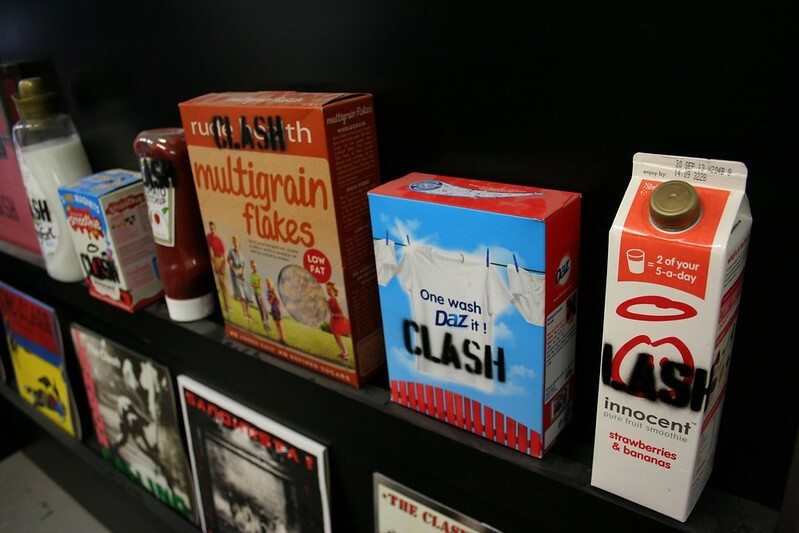 I’m not a fan of the Clash but I think I still would have enjoyed going into that store. It looks amazing! And yes, the model head is pretty freakish. What a fabulous day out with Suzanita! I instantly fell in love with feistyness and kindness her when we met. love your embroided top.that mona head is a bit scary. 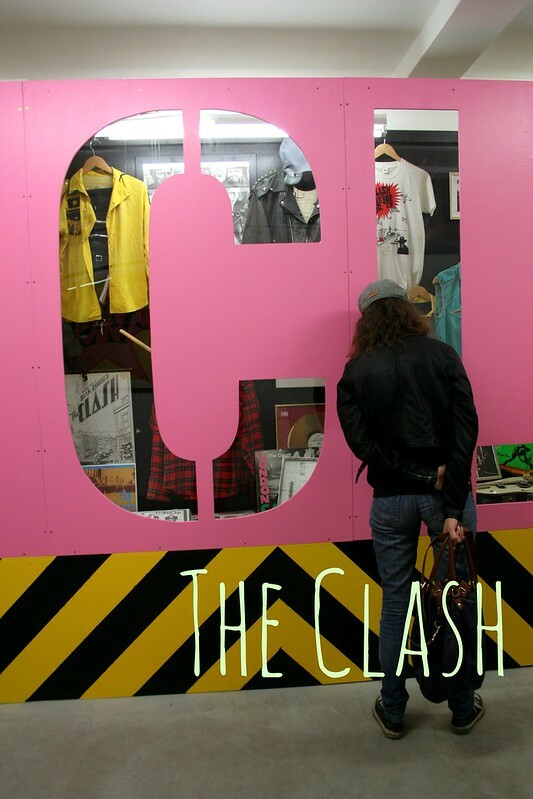 I would love to be there and enjoy all that stuff!, The Clash is one of Mr.A.’s favorite bands, (mine too! 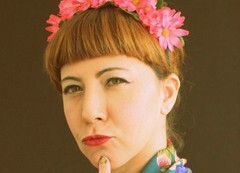 ), and Lady Idèe Fixe is so fabulous!! 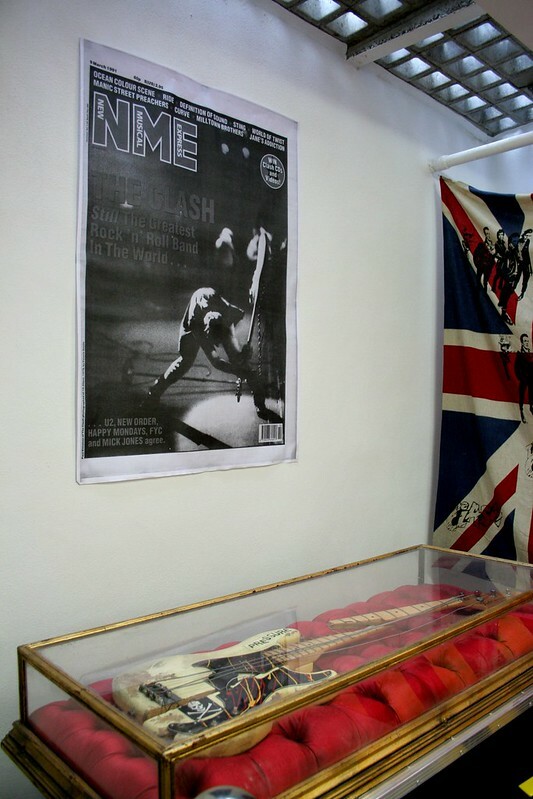 The show samples the collection of New York resident Andrew Krivine, who started accumulating records, posters, flyers and ephemera during family visits to the UK in the late 70s.